A number of Palestinian activists put banners and signs on the main entrance of several Palestinian cities calling for peace with the Israeli citizens. The banners also included a message to the Israeli occupation not to enter into Palestinian civil areas due to its aggression and violations against the Palestinian people; as the Israeli Occupation raids Palestinian cities and villages and arrests the residents. The big banners were placed on cement stones belonging to the Israeli Army on the main entrances of the Palestinian cities and included an invitation to the Israeli citizens to enter into the Palestinian territories as guests without fear or hesitation and to refuse to be an "enemy". Those banners came in response to the warning letters placed by the Israeli Army on the entrances of the Palestinian cities. Israeli Army put red color banners that warn the Israeli citizens that these are Palestinian territories and Israelis are banned entry. Whereas the Palestinian banners urge the Israelis to enter as guests into the Palestinian territories without any fear or worry. According to the Israeli banners, the Israeli citizens are warned that entering into a Palestinian area exposes their lives to danger and criminal offenses will be imposed on the violators. There is a difference between what the Israelis call for in their waning banners and the invitations of the Palestinian activities that eager for peace with the Israeli citizens. Israeli Prime Minister Binyamin Netanyahu on Sunday telephoned Palestinian President Mahmoud Abbas and offered greetings for the Muslim holy month of Ramadan, Israel's Channel 10 reported. Netanyahu also hoped the two sides could resume peace talks stalled for three years and that they will have the opportunity to speak with one another not only during festivals. Netanyahu told Abbas that he hops the US Secretary of State John Kerry's efforts will show results and start negotiations soon. The channel added, former Palestinian Minister of Prisoners Affairs, Ashraf al-Ajrami, has recently met with Netanyahu at his house in Jerusalem, and they both discussed several issues. Al-Ajrami confirmed that the ball now is in Israel's court and that the Palestinians await Israeli response on the two-state-solution, yet Netanyahu's office denied the news. 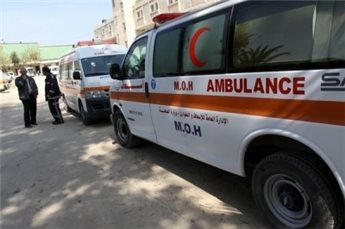 A five-year-old boy was killed in the Gaza Strip on Saturday after being struck by a stray bullet inside his home, police said. Yousef Darwish sustained fatal injuries after a stray bullet hit him in Nuseirat refugee camp, Gaza police spokesman Ayoub Abu Shaar told Ma'an. 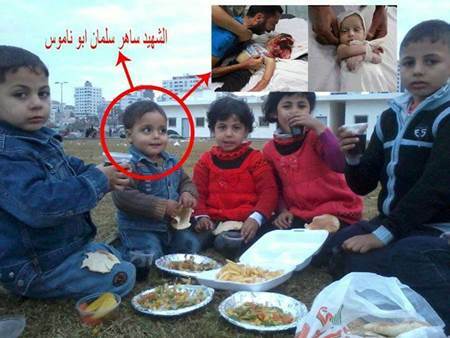 The boy was taken to a hospital in Deir al-Balah but pronounced dead on arrival. Police have opened an investigation to determine the source of the gunfire. The Palestinian Authority minister of endowment and religious affairs said Saturday that Hamas does not enjoy popular support in the Gaza Strip. "Hamas realizes that the majority in the Gaza Strip rejects them, and rejects their policies of controlling Gaza through force," Mahmoud al-Habash wrote on his Facebook page. 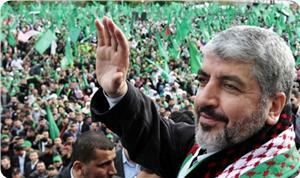 "Hamas insists on continuing its control through force, not love, thinking that it will last forever," he added. Habash was a founding member of Hamas but left the movement in 1994. Another member of the British parliament has nearly been sacked for comments his party describes as ‘a denigration’ of the Holocaust, local media reported. 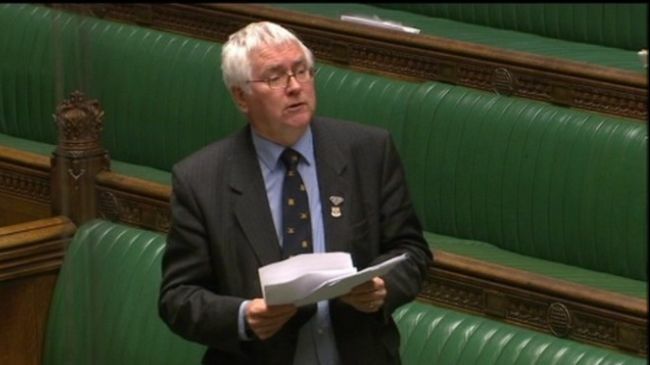 Liberal Democrat Member of Parliament Sir Bob Russell questioned Zionist regime’s treatment of Palestinians in an address to the House of Commons on Monday. 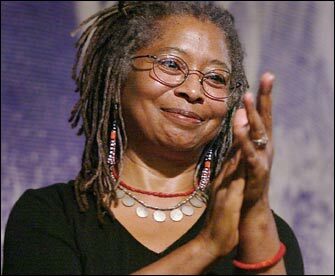 "On the assumption that the 20th century will include the Holocaust, will he give me an assurance that the life of Palestinians since 1948 will be given equal attention?”, asked Russell. The MP’s own party members lashed out at him for the comment. “Bob Russell is a fringe, marginal voice in the community. All parties have them sadly”, said Gavin Stollar, of Liberal Democrat Friends of Israel. Jeremy Newmark, on Britain's Jewish Leadership Council said, “These remarks are a shocking piece of Holocaust denigration. There is simply no comparison between the two situations. It is worrying that so soon after the David Ward affair another MP thinks it is acceptable to play fast and loose with the language of the Holocaust in this context." The comments come soon after the Liberal Democrat MP David Ward was sanctioned by his party following his conflation between the Middle East conflict and the Holocaust. Ward, who was rebuked by his party leader Nick Clegg, said on the eve of Holocaust Memorial Day, "[I am] saddened that the Jews, who suffered unbelievable levels of persecution during the Holocaust, could within a few years of liberation from the death camps be inflicting atrocities on Palestinians..."
The Liberal Democrat party also recently expelled Baroness Jenny Tonge following her anti-Israel remarks in which she asserted that "Israel won't be there forever". Police are investigating the death of a 17-year-old whose body was found at his family's farm in Deir Sharaf near Nablus on Thursday. Police identified the teenager as Imad Mwafaq Zaghoul and said a rope was found near his body. The cause of death was not immediately clear and an autopsy will be performed, police told Ma'an. Palestinian official statistics indicated that the number of Palestinians living in the West Bank and Gaza Strip had reached 4.4 million by mid 2013. The Palestinian central statistics department said in a report on the occasion of the international population day falling today Thursday 11/7 that 2.7 million live in the West Bank and 1.7 million live in the Gaza Strip. The report pointed out that the unemployment rate reached 23.9% while the poverty rate reached 25.8%. 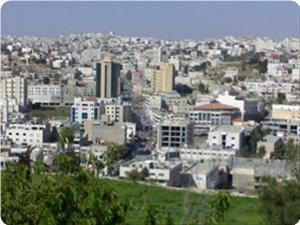 A woman was kidnapped in Salfit in the northern West Bank on Wednesday, relatives and police said. Sanaa Malayta was walking to a shop near her home, with her 9-year-old sister-in-law, when two men jumped out of a car and abducted her at knife-point, her brother-in-law Sameer Malayta said. The car, a silver Mazda, had Israeli license plates and drove toward Israel, he told Ma'an. The brother-in-law said the family has no adversaries and is shocked by the incident. Police confirmed the incident but declined to give any further details. 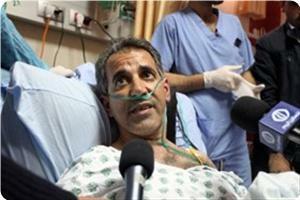 A medical center in Austria has agreed to treat freed prisoner Mohamad al-Taj. Al-Taj, whose medical records were sent to Europe in May, was hoping a country would offer him a lung transplant. He told Ma’an that the minister of detainees received approval for him to be treated in a Veinna medical center. The freed prisoner, who suffers from pulmonary fibrosis and heart hypertrophy, says he will be initially treated with medication then according to his body’s response the doctors will determine if a transplant is needed. 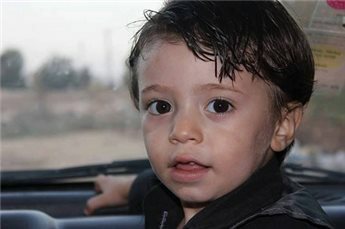 His treatment will be funded by the Palestinian Authority, which will transfer the expenses to the medical center, he added. 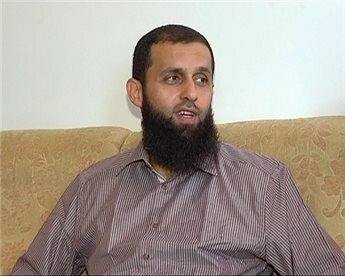 Al-Taj was released in April on health grounds, after carrying out two long-term hunger strikes. In mid-May, a brief press statement revealed that a group of 20 senior Fatah and PLO officials had met in Ramallah and declared for a single democratic state in all of Palestine. Now, just six weeks later, their numbers have tripled and they are launching The Popular Movement, an active mass organisation with cells in every town, saying that they believe over 90% of Palestinians will come to agree with them. Stressing that only a single state would provide Right of Return, they are already planning to set up branches in the massive Palestine refugee communities of the Middle East. This is news that the One State movement has been waiting years to hear. Its importance is huge. It could potentially end the crisis of leadership of the Palestinian struggle, its damaging misdirection into puppet “state building” and its divisions both geographically and politically. Yes, there IS a Plan B Just a few weeks ago British Foreign Secretary William Hague returned from another fruitless round of Two State investigations saying that the Two State solution was up to its neck in water and “there is no Plan B”. Now the people that Hague and his ilk have been plotting to stitch up and sell out are organising themselves and the message is: Two States is indeed dead in the water and THERE IS A PLAN B. The diplomats are redundant: the people will be doing it for themselves. The Popular Movement will be built up in a manner that accords with the aims and vision of one whole democratic country, reaching immediately, here and now, from the river Jordan to the sea, organising across borders and boundaries. Established coexistence and resistance groups such as Israeli Committee Against House Demolitions, Combatants for Peace, Breaking the Silence, the Negev Coexistence Forum, Zochrot (Remembrance) and many others are living examples and evidence of how a new human rights based society can be formed and flourish. If the confrontational blueprint of separation and division is replaced by cooperation and common building of one democratic state, these groups could come to be seen by fellow Israeli Jews as forerunners in a benign and beneficial endeavour, and not as traitors who side with the enemy. Already, out of Jewish Israelis polled in the past year, 12% declared that they support a single state with equal rights for all citizens, and 22% said they were not opposed to it. This substantial silent minority may be about to find its voice, come out of the closet, break cover and take to the streets, offer their talents to write and to speak, fly the flag, get organised, form a party, initiate projects, set up debates at work, with family and with neighbours, stand up to be counted and find ways to be a force to be reckoned with. They too will put the single state at the top of the agenda. Two years ago when Israelis came out and pitched their tent cities and demanded social justice, they were headed away from the Palestinian issue which, constantly described as an “occupation” was easily dismissed as “foreign affairs”. Next time it could be very different. The idea of one state requires dealing with the entirety of the Palestinian question. It is easy, from one perspective, to talk about the 1967 occupation, and to neglect the refugees, which is the main question. This is the big mass of people who lost everything. A large part of them still live without status and without citizenship in refugee camps in harsh conditions. The separation between the 1967 occupation and the rest of the problems of the Palestinian people led to the fragmentation of the Palestinian people, and in recent years the struggle focused only on the question of two states and the possibility Israel will retreat from the West Bank. The refugees were marginalised from the political discourse. The Palestinians who remained in Israel are under a growing attack by racist laws and segregation, and their problem is presented as if it was not part of the Palestinian question, although it is a problem at the heart of the Palestinian question. Therefore, only a framework that will take the problem as a whole: the 1948 occupation, the 1967 occupation, the right of return of the refugees, and the right of every person to live in peace and equality as equal citizens in their homeland — this is the only framework that can bring about a resolution. Settlements are theft. It is not only the occupation, but settlement is an action of land theft that continues today. The idea of one state is not there to legitimise this theft, but to undo the wrongs that were done. The perspective of the single state is based on resolving the real problems. The problems of national oppression are never resolved by the good will of the oppressor. The struggle of the oppressed resolves the problems of oppression and changes the power relations for the good of the oppressed. For the Palestinian people to achieve its rights the Palestinian people has to unite. 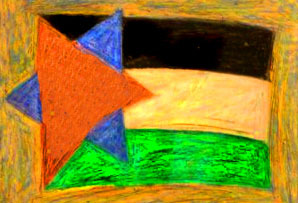 The programme of one state as opposed to the programme of two states unites the Palestinian people because it represents the three parts of the Palestinian people: the refugees, the residents of the territories occupied in ‘67 and the residents of the territories occupied in 1948 as taking part of one struggle with one objective. As for the Jews, Zionism does not guarantee peace or prosperity. The wars are a growing danger and a growing expenditure that waste all the resources and energies of this country. After all, the Jews are in an impossible situation of being the frontline soldiers of imperialism in a lost war. We see the USA retreating from Iraq, retreating from Afghanistan, retreating from positions like those of the Mubarak regime and tomorrow from other anti-democratic governments and before the demand for a more democratic middle east. Jews will have no alternative but to undo the Zionist adventure, to undo a racist state and an apartheid regime. Just as the white population of South Africa searched for a solution, including the leaderships, the people that built and supported apartheid. They looked for a way to get rid of Apartheid. The establishment of one democratic state here that will secure the rights of the Jews as equal citizens and allow them to integrate in the region and live in peace — this is the same promise that Zionism made, but never intended to fullfil. The fact that five million Jews rule without limits over a Palestinian majority that already lives in Palestine, preventing the return of millions of refugees and representing an aggressive foreign power, is unsustainable under any scenario. The two state political programme also led to an impasse regarding Jewish-Arab cooperation in the struggle against Zionism. 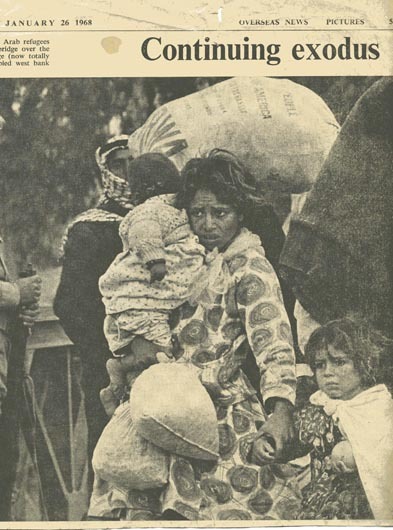 The two state programme preserved the territorial separation for different ethnic groups, while saying to the Jews who wanted to work for peace, “your way is to make pressure on the Israeli government to sign a peace agreement with the Palestinian side”. The programme of one state represents a different perspective, that builds a partnership in the struggle against racism, against the occupation and for living together in one state. The partnership is a partnership from the first day against the Zionist regime, and not separation making the Jews to support the Zionist regime and ask it to make concessions. The only way to live in peace in an equal society and not under racism is one democratic state. Ramallah 2nd July 2013: The Popular Movement, which advocates a single democratic state for Israelis and Palestinians in historic Palestine, has held its first meeting at Al Beirah Municipality and has sent an official letter to Palestinian President Mahmoud Abbas informing him of the launch. The Holy Land Christian Ecumenical Foundation (HCEF) just concluded its successful 2nd International Palestinian Diaspora Youth Conference in Bethlehem, Palestine July 5-6, 2013. It achieved the goals of the program, which were to engage the 2013 delegates in the Know Thy Heritage Leadership Program in critical thinking and discussion, open communications to build a relationship between Palestinians around the globe, and strengthen the KTH delegates' knowledge of their Palestinian identity, HCEF said in a press release. "The KTH Leadership Program is essential for our youth," said HCEF President and CEO, Sir Rateb Rabie, KCHS, who warmly welcomed all of the conference participants! "This unique and national leadership program empowers Palestinian youth around the world to define their role in building the new State of Palestine. HCEF's role in providing KTH delegates with the necessary tools and knowledge to establish this connection with Palestine is paramount, as these delegates and future leaders are equipped to return to their respective countries as Ambassadors of Palestine and of Peace." The Welcoming Ceremony included several distinguished guest speakers including HE Bishop Dr. Munib Younan of the Evangelical Lutheran Church in Jerusalem, Iman Yahya N Hendi, President of Clergy Beyond Borders and Muslim Chaplain at Georgetown University, HE Archbishop Theodosius (Atallah) Hanna, Archbishop of Sebastia, Orthodox Patriarchate of Jerusalem, and Vera Baboun, Major of Bethlehem. In addition, embassy representatives from delegates' countries in the Diaspora were present, including Australian Representative to the Palestinian Authority (PA) Tom Wilson, Canadian Representative to the PA Katherine Verrier-Fréchette, Political Chief of the US Consulate General in Jerusalem Jennifer Gavito, and Chilean Deputy Chief to the PA Gonzalo Layseca. Bethlehem Major Vera Baboun addressed the audience, urging the Palestinians in the diaspora to enrich their connections with their homeland, and to invest in it, to build the economy. 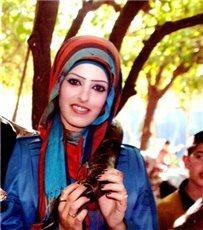 She praised the KTH Delegates, saying that at last "you have come home to your mother, Palestine." During the presentation on Current Conditions under the Israeli Occupation, guest speaker Sheerin Al-Araj, UN Workers and activist, spoke of the natural transition towards acceptance and change in the world's perception of Palestinians, stating "The world can't deny the rights of Palestinians forever if they are to accept the mixing and cooperation of globalization. As more people travel, they become culturally sensitive and accepting of the traditions and rights of others. In today's global society acceptance is an inevitable and natural transition." This embodies the mission that is KTH, as the program brings Palestinian youth in the Diaspora back to their homeland to raise their awareness and acceptance of Palestine as a cause for peace that must be pursued. Later in the day, delegates and conference participants were split into smaller groups to attend workshops. Designed to connect the Diaspora delegates with Palestinians in Palestine, the workshops were a successful vehicle for building bridges of communication. The 2013 KTH Delegation demonstrated their willingness and tenacity to fully immerse themselves in Palestinian affairs as taught by fellow Palestinian, learning about their heritage not only as a cultural and geographic association, but as a comprehensive identity that includes social, economic, and political issues. Delegates expressed their gratitude to the their fellow conference participants and guest speakers, as for many it was their first time learning from and interacting with Palestinians in such a dynamic and educational way. Delegate Nusayba Hammad said: "My favorite part of the conference was the wealth of different experiences and perspectives represented, as we had the opportunity to meet so many active Palestinians who have contributed so significantly to the cause for peace in Palestine. I would recommend this experience and program to anyone regardless of previous knowledge of the situation." The second day of the conference included presentations on The Role of Media in Truth Reporting, The Role of Art and Culture, and The Role of Religious Institutions in Peace-building. The highlight of the day was the keynote speech by HE Dr. Mustafa Barghouti, Founder and President of The Palestinian Medical Relief Society and member of the Executive Committee of the PLO. He said "The KTH program addresses one of the most crucial issues we face in Palestine today: how to get people uprooted from Palestine to come back and see what it's really like here and preferably, not just visit but come back to live here." On the media panel, Nour Odeh, Media Professional and Communications Consultant, discussed how delegates can be a catalyst for change, emphasizing "the importance of connecting with Palestine tangibly as well as virtually by using social media to give a voice to the voiceless and the underprivileged". Whether delegates are inside or outside Palestine does not limit their potential for action, as HCEF and the conference provides delegates with the knowledge to build coalitions and initiatives for change. As Nour Odeh said, "Palestine lives in us even if we don't live in it." KTH delegates feel empowered by the exchanges of information and ideas, reinvigorating their drive to work towards a better Palestine when they return home, and for when they return to Palestine, their homeland. The conference ended with a ceremony during which delegates were each awarded a key of return to Palestine. Though the conference is over, the learning has just begun. HCEF looks forward to the bright paths ahead of these talented and dedicated 2013 KTH delegates. The West Bank is witnessing state of tension due to the low salaries and price hikes especially with the month of Ramadan. 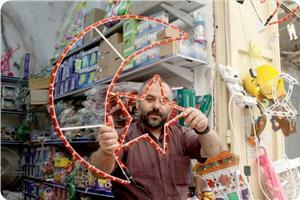 Munther Sabha, a West Bank resident, told PIC's correspondent that the preparations for the month of Ramadan have turned into economic burden due to the price hikes. "Every year the purchasing power decreases while the salaries are the same", he said. The economic researcher Munir al-Kuni said: "The citizen is paying the bill of the government's economic policies; which include the increase of the value-added tax (VAT) without offering tax exemptions for commodities for the poor." The street has been witnessing a state of tension because of the high rates of unemployment, the low wages, the high prices and the absence of policies protecting people on low-income. The poor people are the most affected by the successive policies of the Government of Ramallah, as the charitable activities have been affected by the security policy and the closure of many charitable societies in the West Bank. The statement added: "At a time when Israelis are escalating attacks on Palestinians and at the time when the Palestinian people are insisting on the need to stop the settlement activity and release the prisoners, we were surprised by these meetings held between leaders of Israeli ruling parties in the presence of some Palestinian leaders." The Commission called for responding to the practices of the occupation through activating and developing the popular resistance. It demanded the Palestinian Authority President Mahmoud Abbas, the PLO leadership and the Fatah leaders to clearly and decisively respond to these meetings through "the development of a clear mechanism to activate and develop resistance and to unify the ranks against the Israeli plans." The Jerusalem Post Israeli newspaper reported Wednesday, that Fatah faction condemned in a press statement, a meeting that took place in Ramallah earlier this week between PLO representatives and Israeli politicians. 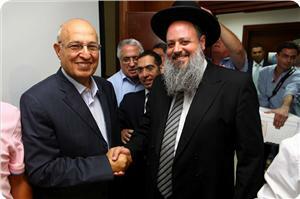 The Israeli delegation, which included members of the Likud and Shas, rabbis, political consultants and municipal council members, met with PLO Secretary-General Yasser Abed Rabbo, top Fatah official Nabil Sha'ath, PLO Executive Committee member Mohamed Masri, and Ashraf al-Ajrami, a former minister for prisoner affairs in the Palestinian Authority. The meeting was organized by the Geneva Initiative group and headed by Yasser Abed Rabo, the head of the Palestinian branch of the Geneva Initiative. The Fatah faction said, "We condemn normalization and those behind it. Such meetings are void of political content and a waste of time. They are unjustified, nationally and politically." The faction added that such meetings were in violation of PA President Mahmoud Abbas's position to halt meetings with the Israeli government. The Fatah statement concluded, "While we strongly condemn such meetings and categorically reject them, we call upon our leadership to form a commission of inquiry to hold accountable those responsible." For his part, Tawfiq Terawi, Fatah Central Committee member also condemned the meeting and said that in spite of ongoing aggression on the Palestinian people by the Israeli occupation and its settlers and the insistence of the Israeli government on continuing settlement and Apartheid Wall, the meetings of the Geneva Initiative that was launched by Ashraf al-Ajrami continue to take place despite attempts by Palestinians to combat any form of "normalization" with Israel. Hamas also considered the meeting in Ramallah as a "form of normalization" with Israel and said that such meetings intended to "provide a cover for the occupation to continue", The Jerusalem Post reported. Several other groups issued strong condemnations against Israeli-Palestinian meetings, including the Popular Front for the Liberation of Palestine, the Democratic Front for the Liberation of Palestine, and Islamic Jihad. 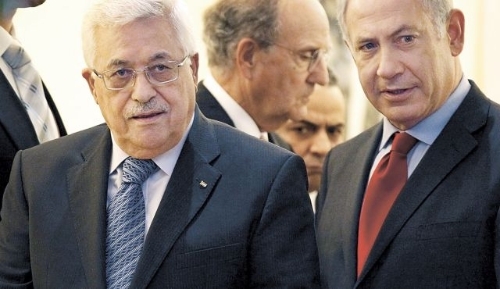 "Geneva Initiative" has organized a meeting between PA and Fatah movement leaders and leaders in the Likud party in Ramallah on Sunday to resume talks between the two parties, Israeli media sources said. Leaders in PA and Fatah movement have attended the meeting including Yasser Abed Rabbo, a member in Fatah Central Committee and Geneva Initiative, and chief Palestinian negotiator Nabil Shaath, in addition to senior officials in PA and Fatah movement, Maarif Hebrew newspaper revealed. The newspaper added that the meeting aims to resume talks between the Palestinian and Israeli authorities and to discuss the peace process. During the meeting, Yasser Abed Rabbo declared, according to the newspaper, that the PA is ready to take unprecedented steps to resume the peace process with the Israeli authorities. Dr. Sami Abu Zuhri, a Hamas spokesman, has denounced the meeting in Ramallah between Fatah and PA leaders and representatives of the Israeli Likud and Shas parties over a dinner banquet. Abu Zuhri said in a statement on Tuesday that the “amicable meeting” represented a kind of normalization of relations at a time the Israeli occupation authorities were escalating attacks on the Palestinian land and holy shrines. After the meeting, Yasser Abed Rabbo, a Fatah central committee member, declared that the PA is ready to take unprecedented steps to resume the peace process with the Israeli authorities. He said that the latest tour of the US secretary of state John Kerry in the region had left positive impressions, adding, however, that both parties (Israelis and Palestinians) should be more flexible in order to resume their negotiations. A public survey conducted by the Israeli government about the political mood of the Palestinian street in the West Bank showed that Hamas is more popular and stronger than Israel had thought. The Israeli official survey highlighted that head of Hamas's political bureau Khaled Mashaal is very likely to win any future presidential election against president Mahmoud Abbas. The Israeli military central command said, in turn, that the Palestinian authority does not find adequate support to get out of its economic crisis. The central command also expressed its fears that thousands of jobless young men in the West Bank would keep wandering the streets and engaging in clashes with soldiers and settlers. 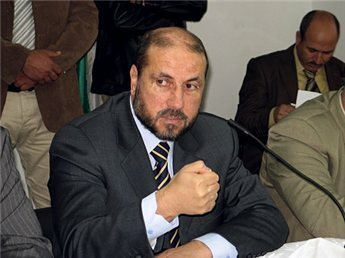 Legislator Yahia Mousa, a political leader of the Hamas movement, stated that the Hamas movement and the Gaza Strip will pay a heavy price for interfering in internal Egyptian affairs, and called on his movement to reconsider its regional policies, especially with neighboring countries. 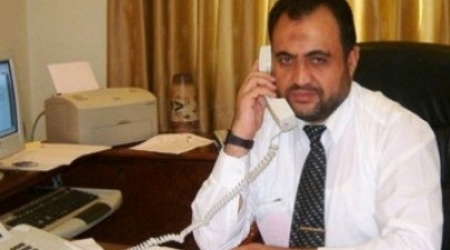 In an interview with the Wattan News Agency, on Wednesday morning, Mousa said that Hamas, as an Islamist movement, supports the Muslim Brotherhood in Egypt, but does not have the right to interfere in internal Egyptian affairs, but instead must act to stop the bloodshed between the supporters of the Brotherhood and their opponents. He said that meddling into Egyptian affairs would affect the Palestinian people, especially in Gaza, and would lead to shutting down all siege-busting tunnels that have become virtually the only source of goods and supplies to the coastal region. Mousa called on the Hamas leadership to reconsider its policies when dealing with Egypt, and to reconsider its regional relations, especially with neighboring countries that support the Palestinian people and the Hamas movement. He said that Hamas needs to place the Palestinian interests as a top priority for its policies, and added that the Egyptian experience with Hamas during the June 25 2011 Egyptian revolution, caused concern among Egyptian leaders, and affected Hamas’ relation with various Arab nations. 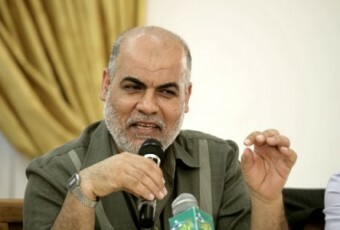 “We asked the Hamas leadership to stop interfering into internal Egyptian affairs; the Egyptians are always concerned when any party does that”, Mousa said, “No Palestinian party in Gaza has the right to meddle in what is happening in Egypt, or any other Arab country, such acts negatively impact the movement and the Palestinian people”. “Let me say it frankly: my fellow legislators, and myself, might have to stand at any given moment and say all doors have been shut in front of us, and then we must submit our resignations”, he said, “The Palestinian Legislative Council is not operating as a united body, all legislative blocs, including Fateh and Hamas, are not working together, we must make that clear to the Palestinian people”. Israeli authorities have taken action to shut down and censor two theaters – one Palestinian-run, and one Israeli – for performing cultural theater performances that Israel considers to be critical of its political agenda and policies. The puppet festival was supposed to open on June 22nd, featuring Palestinian, Nordic, French and Turkish puppeteers. But the ruling by Aharonovitch prevented the festival from taking place as planned. 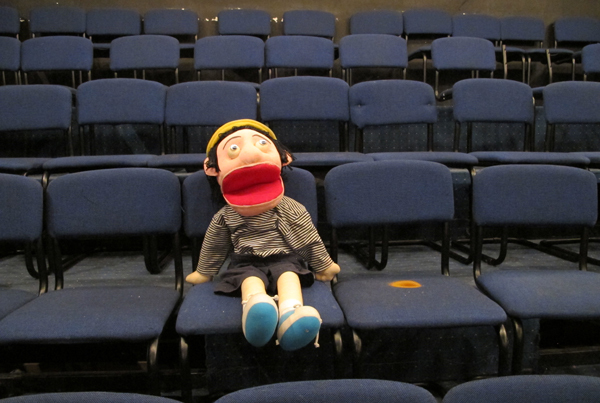 Over 1300 Israelis, including many actors, directors and artists, signed a petition condemning the shutdown of El-Hakawati Puppet Festival and Theater. According to the 1993 Oslo Accords which created the Palestinian Authority, the Authority is not allowed to engage in any activity in areas under Israeli control, including east Jerusalem, where the theater is located. 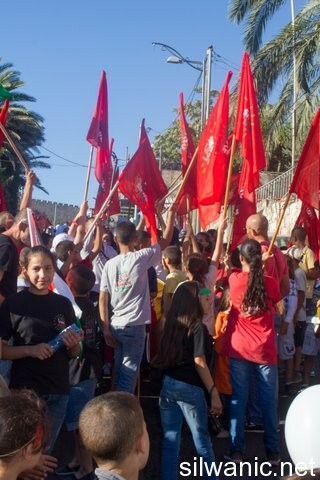 Although Israeli authorities have violated the Oslo Accords hundreds of times through the creation and expansion of settlement colonies on land owned by Palestinians and designated as Palestinian under the Oslo Accords, the Palestinian Authority has been prevented from engaging in any activity in Jerusalem, where hundreds of thousands of Palestinians still live. The Israeli Khan Theater was challenged by the deputy mayor of Jerusalem David Hadari for its plan to stage a performance of the play 'My Name is Rachel Corrie' on July 7th. Hadari called on the municipality to cut off funding for the theater if they decided to go forward with the performance. However, performers went ahead with the show, which is based on the life of American activist Rachel Corrie, who was killed at the age of 23 in 2003 in southern Gaza, while standing in the way of an Israeli armored bulldozer, to try to prevent the demolition of a Palestinian family's home. Although the performances faced censorship for different reasons and using different means, the actors and other artistic staff have connected the two events, saying that they indicate a pattern by Israeli authorities to stifle artistic expression that is critical of the regime. Some critics have also connected these events with the unsolved murder of the director of the Jenin Freedom Theater in 2011. The Jenin Freedom Theater, the most famous theater in Palestine, is located in a refugee camp in the northern West Bank. It was founded by an Israeli and a Palestinian with a focus on using theater as a means of resisting the daily realities of life under military occupation. The directors encouraged children in the refugee camp to get involved in theater in order to express themselves and their frustrations through art. In 2011, the theater's co-founder, Israeli Juliano Mer-Khamis, was gunned down in Jenin, and his killers have not yet been found. Two months after his murder, Israeli forces raided the theater, and abducted and interrogated his co-workers. Dr. Sami Abu Zuhri, a Hamas spokesman, has denied press allegations that his movement had issued a statement on the current events in Egypt. Abu Zuhri said in a statement on Sunday that what the Egyptian media had published as a statement for Hamas commenting on the situation in Egypt was not issued by the movement. Gaza premier and Hamas leader Ismail Haneyya had said that Egypt was and would remain the important depth for the Palestinian cause and added that his government was following up what is going on in Egypt. 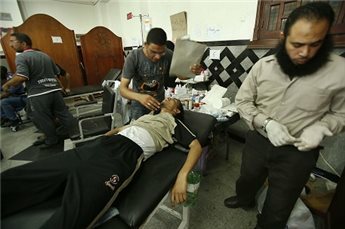 Hamas on Monday denounced an attack against supporters of ousted Egyptian President Mohamed Mursi. The Islamic movement expressed deep sadness and pain for the victims, Hamas official Ezzat al-Risheq wrote on his Facebook page. 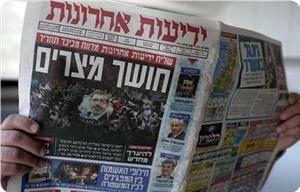 He added that Hamas sent its condolences to the victims' families. At least 42 people were killed during the attack on supporters of Mursi outside an elite army base in Cairo, a senior medical official said. "The death toll is 42 dead and 322 wounded," Ahmed al-Ansari, the deputy head of emergency services, told AFP. The Muslim Brotherhood, which has led pro-Mursi demonstrations, said 35 of its supporters were killed when police and troops fired at them while they were praying at dawn. Witnesses, including Brotherhood supporters at the scene, said the army fired only tear gas and warning shots and that "thugs" in civilian clothes had carried out the deadly shooting. Armed supporters of Mursi meanwhile seized two soldiers in Cairo, an army official said. Both of the Egyptian soldiers, who were identified as Samir Abdallah Ali and Azzam Hazem Ali, were put in a vehicle and forced to make pro-Mursi and anti-army statements on a loudspeaker, the official said, cited by state news agency MENA. Palestinian researchers and specialists in occupied Jerusalem warned that about 150 landmarks and historical sites are exposed to Judaization and annexation in the holy city. This came in a conference organized on Saturday by scholars and preachers in Jerusalem. The final statement issued by the conferees stressed that the whole Islamic landmarks in Jerusalem is threatened with annexation to the alleged Jewish heritage, either by removing all signs of the Arab and Islamic presence in the city or by tampering with the antiquities and replacing the Arabic inscriptions with Hebrew ones. The statement warned that the coming Israeli step would be directed against the Aqsa Mosque after the Israeli occupation regime prepared itself to raze this Mosque and build the Jewish temple in its place. The conferees appealed to the Arab and Muslim decision makers to be aware of what is happening in Jerusalem and move to protect the Arab historical landmarks and the Aqsa Mosque. Liberated prisoner Mohammed Al-Taj declared he would go on hunger strike on Sunday to protest the Palestinian Authority’s inaction regarding his health condition. Local sources said that Taj decided to go on hunger strike after the PA health ministry and presidency office did nothing to treat him. 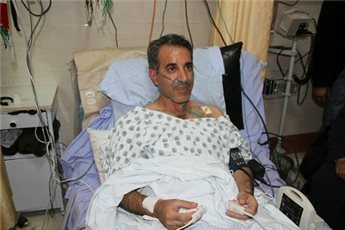 Taj, who suffers from pulmonary fibrosis, is in need of lung transplant operation after he was released from Israeli jails due to his serious condition. Hilmi Al-Araj, the director of Hurriyat (freedoms) center, said in a press release on Saturday that Taj waited for two and a half months to be treated but nothing was done due to bureaucratic regulations. Araj said that Taj should be transferred to a European country as 85% of his lungs is not working and a medical report gave him eight months to live after which he was released and one third of this period had already expired. Madaa Center recently opened the 8th summer camp “I love you Silwan 8” in the playground of Wadi Hilweh in the village. Majd Gaith , the summer camp coordinator, explained that the number of participants in this year’s camp is 250 children, aged between 6 and 15 years from all over Jerusalem. He also said that the camp’s activities were divided into morning and evening activities where the morning part teaches children the art of mosaic, arts, sports, music in addition to the leader’s activities and tours in the neighbourhood of Wadi Hilweh and especially in Ein Silwan. Christian holy sites, while the evening activities include shows for clowns, inflatables games, Al-Sanabel theatre and several other activities and competitions. Gaith pointed out that a trip will be organized for the children before the month of Ramadan noting that participating in the summer camp is free of charge because of the hard economic times the Palestinian families in Jerusalem are facing and to try to get the largest number of children possible in order for them to benefit from their summer holiday. Gheith added that Madaa Center will hold few “Ramadan Nights” in the month of Ramadan. A Palestinian prisoner who was deported to Gaza for 10 years said Saturday that being deported was better than remaining in Israeli jail. Iyad Abu Fanoun, 30, from Battir village near Bethlehem, told Ma’an that he only had two options: "deportation is rejected in principal, but when it is compared to the other choices it is the safest choice, especially that it is to an area in Palestine." Abu Fanoun was deported to Gaza on the condition that he not contact “terrorist” groups, and not leave Gaza for 10 years. If any of these conditions are violated he can be returned to prison, and 10 years will be added to his original sentence, Abu Fanoun said. He was hopeful that he could start a new life in Gaza, enroll in university, and marry. The Israeli media joined the incitement campaign against Hamas and the Palestinian government in the Gaza Strip and called on the Gazans to revolt against Hamas as happened in Egypt. Haaretz newspaper stated on Saturday that what is happening in Egypt should encourage the Palestinians in Gaza to take to the streets to demand more stability, development and freedom. Israeli officials as well as Palestinian figures from Fatah had expressed their satisfaction with Egypt's military coup against president Mohamed Morsi and said that what happened in Egypt strengthened their positions against Hamas. Palestinian winner of popular MBC TV’s Arab Idol competition Muhammad Assaf performed Friday before thousands of fans in Bethlehem. Assaf first toured the city, visiting the Nativity Church before heading to a presidential landing field near Duheisha refugee camp, where he performed. Assaf was received with cheers and applauds by thousands. Palestinian security services also turned out in force to manage the hour-and-a-half-long concert. Bethlehem police spokesman Luay Irzeiqat told Ma’an that more than 800 security officers were deployed to keep peace and order during the concert and direct traffic. He highlighted that more than 20,000 fans attended the concert without incident.